"River Bicycle Peony (from August Notebook: A Death)" by Robert Hass is the Songs of Eretz Poem of the Day for March 27, 2014. It is the first of four numbered poems entitled, "August Notebook: A Death," and was published in the Winter 2009 issue of The Paris Review. A link to the poem, including the entire set of four, may be found here: http://www.theparisreview.org/poetry/5979/four-poems-robert-hass. 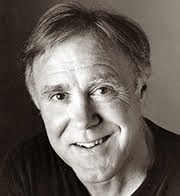 Robert Hass (b. 1941) (pictured) teaches at the University of California, Berkeley. He served as Poet Laureate of the United States from 1995 - 1997 and transformed the until then largely ceremonial position into a vocal platform for the promotion of poetry and literacy. He was a Chancellor of the Academy of American Poets from 2001 - 2007. A Pulitzer Prize and National Book Award may also be counted among his many honors. In addition, he is highly lauded in literary circles for his translations of the works of the Japanese poem masters Basho, Buson, and Issa, and for his ongoing project in translating the work of the Nobel Prize-winning Polish poet, Czeslaw Milosz. Reference to this and additional biographical information may be found here: http://www.poetryfoundation.org/bio/robert-hass. The peony (pictured) has significance in Greek mythology as a symbol of healing. According to the myth, Paeon was a disciple of the healing god Asclepius. Asclepius became jealous of Paeon, and Zeus, in order to save Paeon from being murdered by his envious master, transformed Paeon into a peony. Reference to this and additional information about this myth may be found here: http://www.valentine.gr/mythology4_en.php. 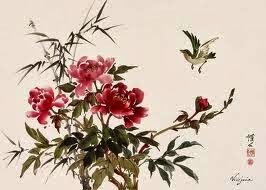 The peony also has significance in Chinese culture and was once prized by Chinese emperors for its beauty and medicinal value. 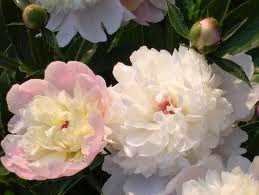 Peonies are said to symbolize royalty, wealth, luck, honor, and bravery. Reference to this and additional information about the significance of the peony in Chinese culture may be found here: http://www.fragrantica.com/news/Peony-Good-Fortune-Compassion-Nobility-2306.html. The poem is an elegy to the speaker's, presumably the poet's, economically challenged brother. The first stanza contains deliberate typos and at first appears abortive, but shortly thereafter it is seen to set the serious tone of the poem--"the first dignity." Indeed, dignity, or the lack of it, is an obvious concern throughout the brother's tribute to his brother; here, the formal arrangement of the poem in seventeen tercets, a nod to the short Japanese form, itself lends the tribute a certain decorum--"the second dignity." This poem really moved me on a deeply personal level. It is no longer so much the case now, but my brother, who is a musical genius, was for many years a person on the margin of society, living hand-to-mouth, and sleeping in what I will diplomatically describe as a hovel. A recurring nightmare of mine was that I would get a call from the police or from my parents with a report of his death, most likely from a vaccine-preventable disease or dental infection that metastasized. I still worry about him and hope I will never be called upon to compose his elegy.